Explore the historic sights of central Madrid during a 1.5-hour Segway Tour and then enjoy a mini tasting of Spanish Tapas with a drink in one of the typical restaurants next to the San Miguel Market. Work up an appetite on a 1.5-hour Segway tour of Madrid’s historical center, and see some of the Spanish capital’s most famous landmarks. You will start in Plaza de San Miguel, our meeting point, with a 2-3 minutes training session to ensure that everyone feels comfortable on the eco-friendly and self-balancing Segways. After few minuters everyone are ready to enjoy the amazing experience on Segway. Then, glide off to see sites such as the Almudena Cathedral , and The Opera House, while your guide narrates stories about the city in flashback. You will also admire some of Madrid’s most historical squares, Plaza de Puerta Cerrada, and one of the trendiest places in town: the San Miguel Market. And also the massive Palacio Real (Royal Palace), the biggest palace in the western Europe. Explore old Madrid without suffering from its hilly streets; let the segway do the work! Generally, the tour includes the main tourist attractions in the "Madrid de Los Austrias" neighborhood, like la calle del codo "The Elbow Street" and la Plaza de Villa with 3 amazing buildings build in 3 different centuries. La plaza de Ramales also, is one of the most important square in the old town with the ruins of the San Juan Baptist Church (XIII century) that contained the rest of Diego Velasquez, one of the most important Spanish painter. The Santiago Church also is considered The temple of the faith in Madrid. That is the place where peregrine started walking the "Camino de Santiago de Compostela" until they got the St James Sanctuary in Galicia, a region in the north of Spain. 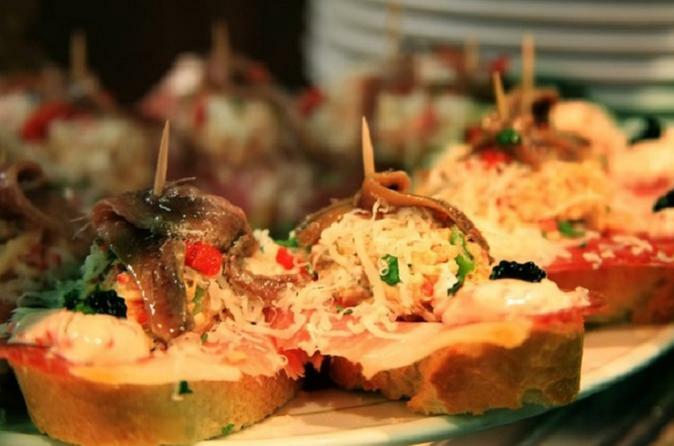 To finish off your visit will end with a taste of Spanish Tapas and a drink in one of the several restaurants close to the San Miguel Market where you will try a demonstration of Spanish cuisine.